Hungary is arranging one of the most extensive pre selections every year. In the show “A Dál” talented singers and songwriters can show their entries and they will get judged by an expert jury and televoters. 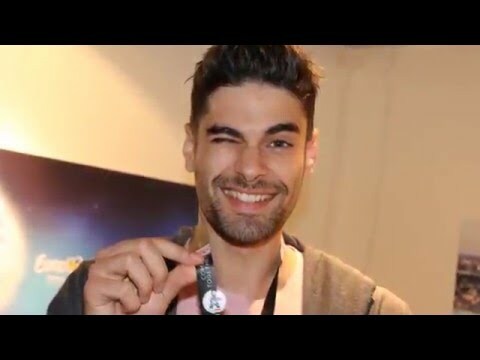 In an exciting final, Freddie could convince the Hungarians with the song “Pioneer” and so he received the ticket to Stockholm to represent his country at the ESC. Freddie has even overtaken András Kállay-Sanders, who made a 5th place with in Copenhagen 2014. Freddie, whose real name is Gábor Alfréd Fehérvári, was born in Györ, Hungary in 1990. In his young life Freddie wanted to become a basketball player, but after a serious injury his dream had to abandoned. Later on he concentrated on his big passion – the music. It all led him to participate in the show Rising Star 2014. His first song “Marie Joe” has become a real hit in Hungary. Currently, Freddie is working on his first album. He is being seen as the new super star in Hungary. The song “Pioneer” is about being true to yourself, this is especially meant for people who have doubts with their self-confidence. Be a pioneer and believe in yourself is the main message. The song has a strong chorus. Accompanied by Freddie’s smoky voice, his good looks and the positive message, this entry might do very well in Stockholm. It all depends on the stage performance. In some years the Hungarians have destroyed their chances with overloaded stage decorations and outfits like illuminated jackets. Having a pure and beautiful stage would be of great benefit to Freddie’s entry. Good Luck! Hungary has debuted with “Kinek Mondjam El Vétkeimet” by Friderika Bayer in the year of 1994 and came 4th with a big surprise, the first three “12 points” were given to Hungary! This was a remarkable placing in the debut year, not only for Hungary also for other newcomers like Poland (2nd) and Russia (7th), they all shaped up very well in Dublin. From that debut year Hungary did not participate on a regular basis, the biggest pause has been between 1998 and 2005. Hungary came back with new music and a lot of energy in 2005. The group NOX could bring Hungary back to a good position with a very well-choreographed folkloristic dance song “Forogj Világ” which came 12th in the final. This fact did not only delight the TV viewers and audience, furthermore, Hungary found back a regular place in the contest with a big wow! There were other flashy entries like “Unsubstantial Blues” by Magdi Rúsza in 2007 (9th) and “What about my dreams” by Kati Wolf in 2011, which came 22nd in the Grand Final in Dusseldorf. This brought Hungary glamour and international attention even if the low placing was not appropriate. Since 2011 Hungary has always reached the Grand Final and the placing’s have improved every year! 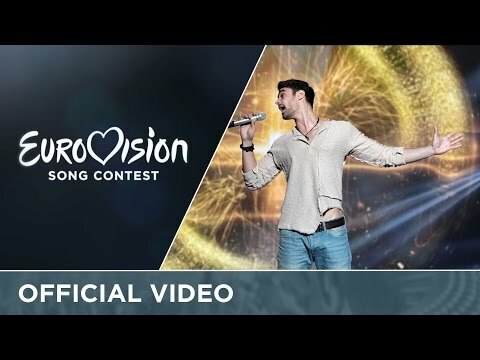 The entry “Kedvesem” by ByeAlex reached the Grand Final and made a respectable 10th place and one year later András Kállay-Saunders could make a wonderful 5th place with “Running”, but last year’s entry “Wars For Nothing” by Boggie has only made a disappointing 20th place in Vienna. For Hungary it’s the 14th participation in the ESC, reached the Grand Final ten times and four times Hungary could be found in the Top10 that means the statistical chance to reach the Grand Final is 29%.